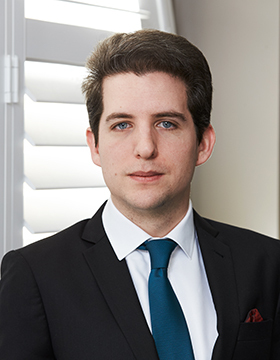 Christoph has a broad practice with a particular focus in the areas of family law, commercial law, wills and estates, family provision and administrative law. He has worked on several publications including The Review of Consorting Provisions (as part of the NSW Young Lawyers Criminal Law Committee) (2014), Criminal Law Journal (digest editor) (2016 onwards), and various chapters of The Laws of Australia (Thomson Reuters) including: Child Welfare, Penalties and Forfeiture, Family Provision and Torts. Christoph holds a Bachelor of Laws with honours and a Bachelor of Applied Finance from Macquarie University. Prior to coming to the bar, he worked as a paralegal in the area of immigration law.